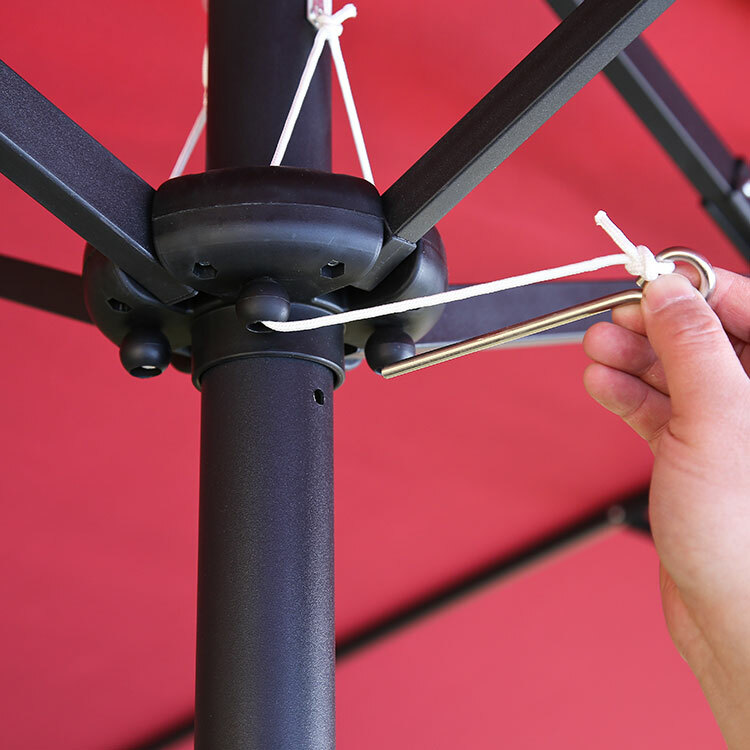 Crank system for easy to open and close. 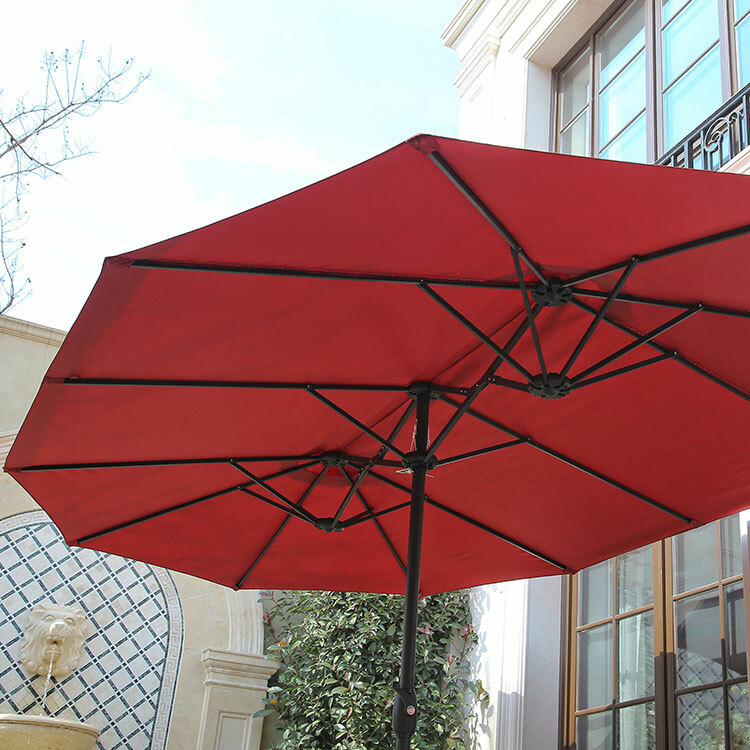 More Shade Effect- 15 feet diameter patio umbrella, which is designed by extra-large double-sided. 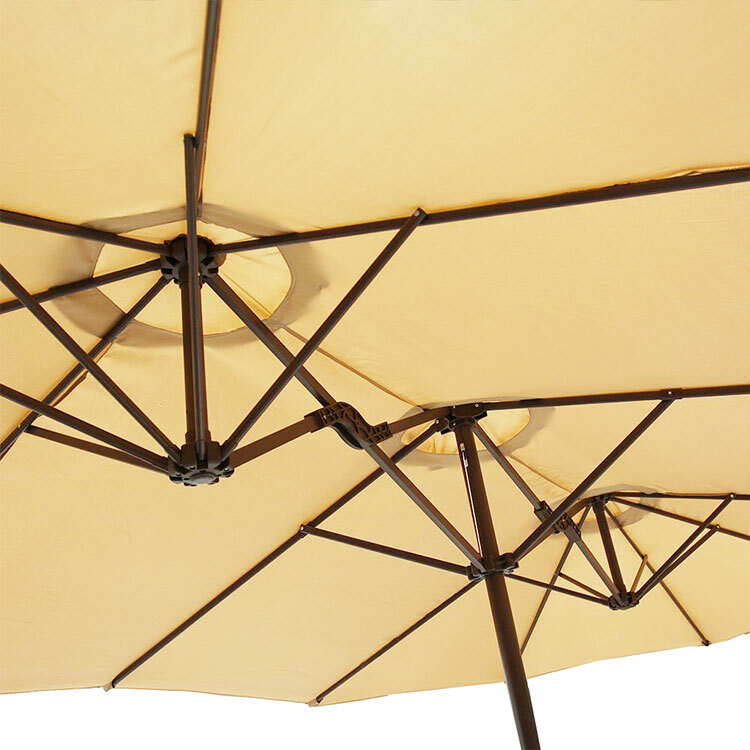 Canopy umbrella brings you complete shade space. 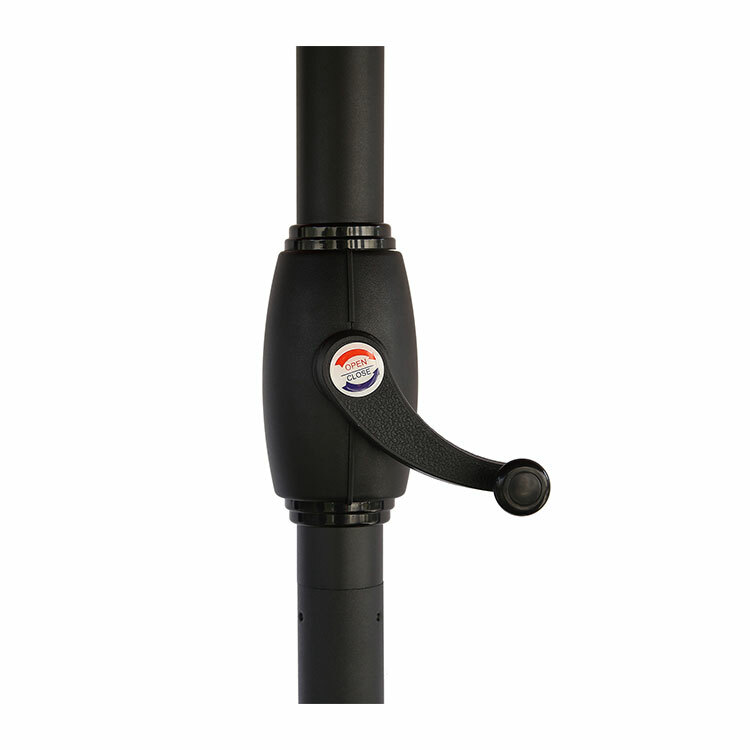 Ideal for both residential and commercial locations, such as garden, pool, deck, porch, yard, lawn, backyard, balcony, restaurant, and any other outdoor area. 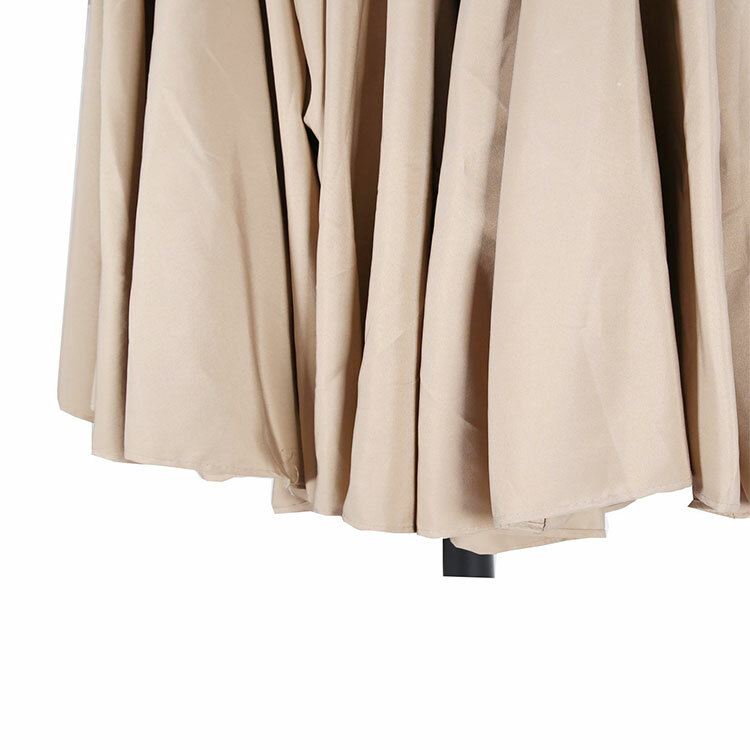 100% Polyester Fabric- Long lasting, fade resistant, mold and mildew resistant, easy to clean, UV protection. Mold and mildew resistant. 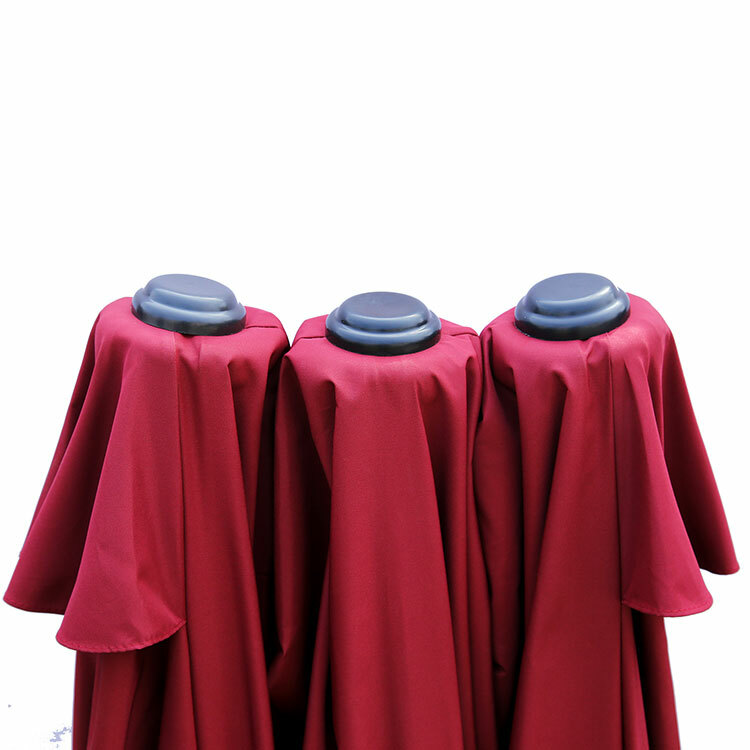 Overall Dimensions: (15) foot (Length) x (9) foot (width), caliber of umbrella base: 48mm. 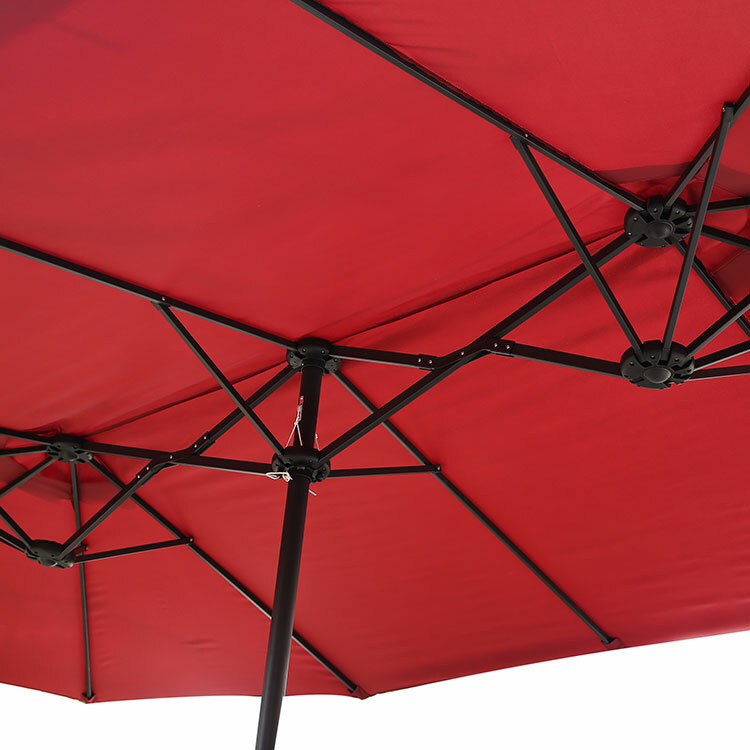 Note: not include umbrella base. Suggested weight of base: 55 lb/25kg. 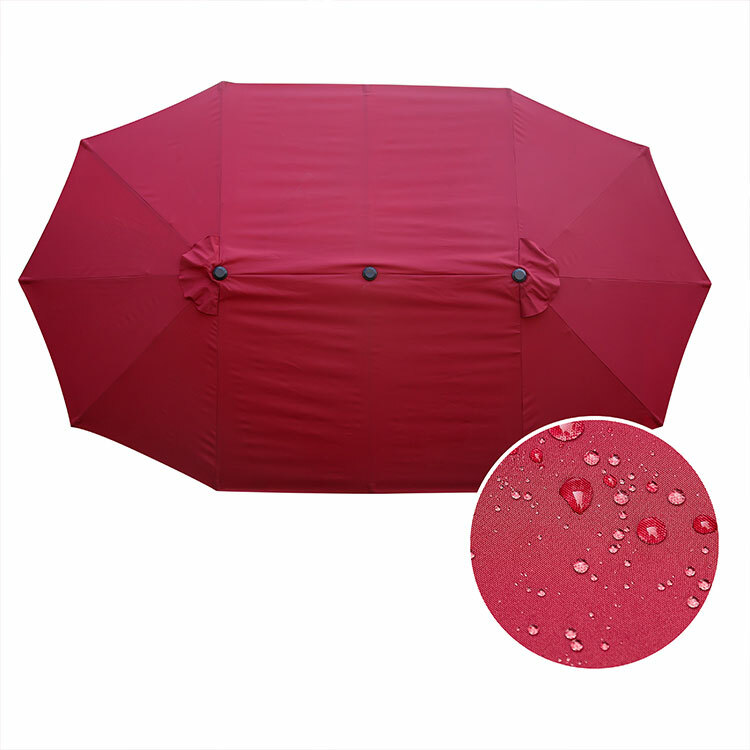 Fabric: Over 200g UV protection polyester, •High Sunlight Resistance- fade resistant, Water repellent, UV protection.